Come join your Upper Keys Business and Professional Women's club for an evening networking event. We will be voting on our new Board for 2018-19! 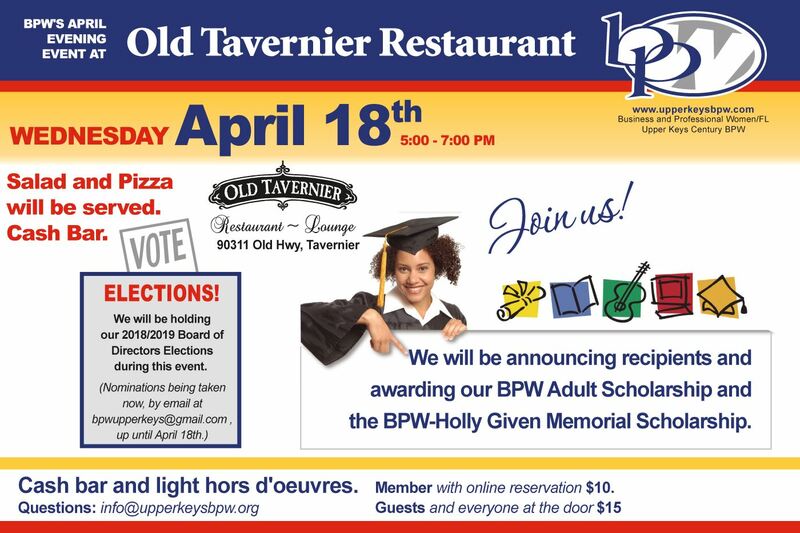 We will also be awarding our BPW Adult Scholarship, including the first BPW-Holly Given Memorial Scholarship!